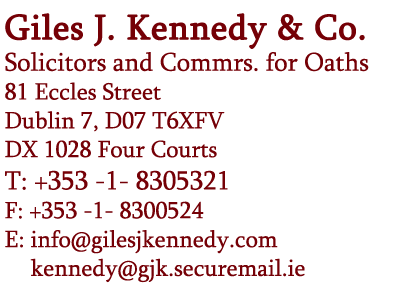 Civil Litigation Defense Lawyer ireland | Giles J. Kennedy & Co.
Giles J. Kennedy & Co. have a dedicated department specialising in litigation defense for all types of clients including multi-national Insurance Companies, individuals and small to medium sized businesses. Our team of Solicitors have experience in handling a claim or action brought against a Party from first notification and receipt of the initial letter of claim right up to the Courtroom if necessary. Our Solicitors conduct detailed Investigations into the circumstances of a claim and provide sound legal and business advice right the way through Proceedings to ensure our clients are fully aware of the issues and prepared to meet the potential consequences of a claim. Our Investigation process includes attendance at Individual’s premises or the locus of the incident if necessary, review of CCTV, examination of evidence, correspondence with An Garda Siochana or other Third Parties, and the taking of Witness Statements, etc. Once the evidence has been gathered and the instructions have been taken we provide comprehensive advices as to the potential difficulties and strengths of a case and help the client reach an informed decision on how best to tackle the claim brought against them. We specialize in Public Liability, Product Liability, Employers Liability, Road Traffic Incidents and Professional Liability Claims. 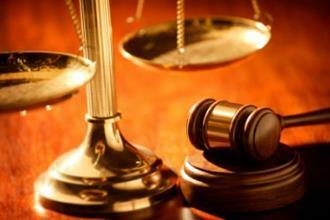 Insurance Companies and Individual Clients who have availed of our services in the past and continue today find that we offer a competitive service and appreciate our speed and efficiency, the fact that we strive to keep legal costs on both sides at a minimum, and most importantly that we offer sound legal and economical advice in relation to each individual claim.